Data not only tells the story behind your product, but also the story of the people that use it. By now you probably all know what Pinterest is and have already begun pinning on multiple boards. It was one of the biggest crazes to hit social media, and although the buzz has somewhat died down, it is still a flourishing and highly used network. Just a few short months after gaining its popularity, Pinterest became one of the top referral sources for blogs and websites and instantly was a tool people had to use to promote their websites. The way that Pinterest works, for those who are not as familiar with it, is that you “pin” images and videos from around the web and place them on boards that you create within your profile. The best way to explain this is most likely through an example, so I have a board on my Pinterest profile called “Sports” and therefore it is a pretty broad topic. You could get really specific with boards if you wish, for example I could break down my “Sports” board into specific sports and leagues such as “NBA” or “Basketball”, or I could even break it down by your favorite teams. The way you organize and setup your boards is really dependent on you and your preference. I read a lot of sports blogs and come across tons of interesting articles, so when I find something that is worth sharing and also contains a nice, relevant image, I make sure to pin it to my “Sports” board. That’s simply how it works. You pin things to relevant boards that you have created. If that isn’t a good enough explanation for you, then take a look at this wonderful Pinterest guide. So what do all these boards and pins mean for you? Pinterest does way more than just bring traffic back to your blog…it defines you and your personality. The boards you create should really represent you and your interests. Fashion is one of the most popular topics on Pinterest but it would be ridiculous for me to pin about it. First of all, I have a terrible fashion sense…I can barely figure out how to match my clothes properly (but I am definitely working on that). Secondly, I have no interest in fashion and nothing I do ever involves fashion…besides getting dressed of course. I have boards about social media, personal branding, sports, creative marketing and design as well as funny things I find around the web. This all defines who I am. I work in social media marketing, I blog about using the online world to promote your personal brand, I’m a huge sports fan and I love creative and funny things. Yeah, I am missing many different personality traits and characteristics on my Pinterest, but you can get a quick overview of who I am just by looking at my boards. 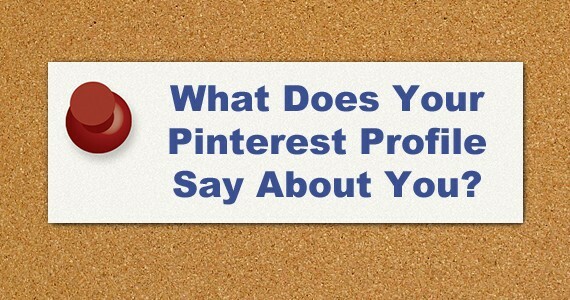 If you plan on using Pinterest, take the time to set up your boards to correctly represent you and your personal brand. Brainstorm how you want to represent yourself and which personality traits and characteristics you really want to highlight. For example, I choose to focus on my work (social media and personal branding), my love of sports, and my creative and goofy sides. Your turn: What traits do you choose to highlight on Pinterest? Are there any other cool things you are trying out with Pinterest that could help others with building their personal brands? Please share your stories with me and the rest of the readers! I'll be honest, when I first started using Pinterest, I wanted to keep it personal. The one social network that wasn't related to work. For a few months, I even stuck to it. Then I realized I was being an idiot. I could keep my personal and professional interests in the same place. Wouldn't hurt to connect with the people I wanted to connect to through my humour, funky/quirky or even things I don't agree with boards. ← Is Content Really King? Get my posts by email...oh yeah! 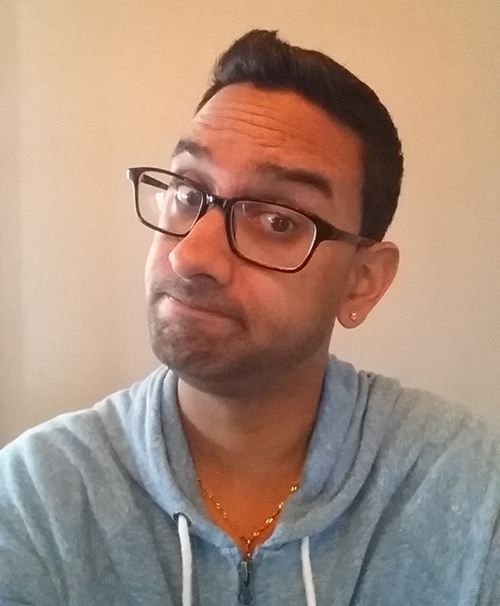 Hey, I'm Anand Patel, a digital product, consumer experience and analytics geek that is trying to find his way in this crazy startup world. During the day I focus on growth for UnBOOKed Appointments and spend my other time working on InterviewDrill, hoping to get job seekers better prepared for interviews! I like to think that data not only tells the story behind your product, but also the story of the people that use it. © 2015 Anand Patel. Powered by WordPress.